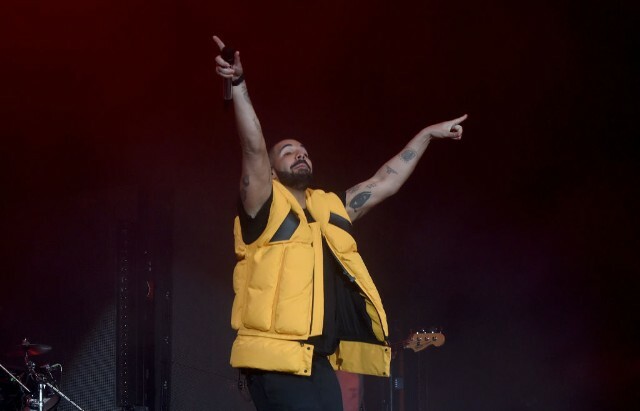 Drake and Migos’ joint “Aubrey and the Three Amigos” tour premiered in Kansas City last night, following the postponement of numerous prior shows and a date switch for the KC show. The concert featured Migos and Drake taking the stage together for a couple of their crucial collaborative hits: 2014’s iconic “Verscace” remix and their Culture II track “Walk It Talk It” of earlier this year. The “Walk It Talk It” performance features some notable dancing that is definitely worth a look. Drake, notably, also made the bold choice to cover one of Michael Jackson’s greatest singles “Rock With You,” at the show. The move is not totally surprising given the fact that it comes in the wake of Drake building “Don’t Matter to Me,” from his recent album Scorpion, around a section of an unreleased Jackson track. Watch footage of those performances below.